The Law Office of Curtis J. Butcher in Carmel, Indiana has earned the trust of clients since 1975. We place an emphasis on protecting your family’s assets in the future through estate planning and probate. 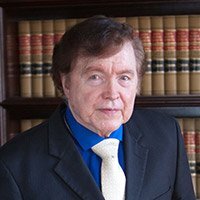 Attorney Curtis Butcher has a friendly, knowledgeable staff ready to answer your questions, but Curtis is prepared to answer those questions himself. He invests himself in cases and offers a free initial consultation to get to know you and your situation. Curtis was one of the first Indiana attorneys to help businesses expand into franchises. He offers an array of support and guidance for formation of businesses and commercial real estate acquisition — including 1031 property exchanges. Curtis’ experience also lends itself to reviewing and establishing complex agreements and negotiation. You’ll sit down with Curtis, face-to-face, to tell him your problem directly. All cases are unique, and Curtis can examine your circumstances to let you know your options. Curtis lays out the strategies his 40 years of experience have taught him. Once a strategy has been chosen, Curtis puts it into action on your behalf, ensuring your interests are considered and accounted for. The clients of Curtis Butcher have come to depend on him for his consistency and broad experience. He has represented and facilitated almost every kind of business transaction over the years, including work as a consultant. He has served as co-counsel for an SEC violation case that called for a company to liquidate, and he has helped with real estate transactions across the country. Whether you're a small or medium business, or you're someone with a family whose future you need to protect, Curtis Butcher can help. He takes a personal approach to every case and walks you through your options without the legal jargon. Set up a free consultation with him to explore your options.